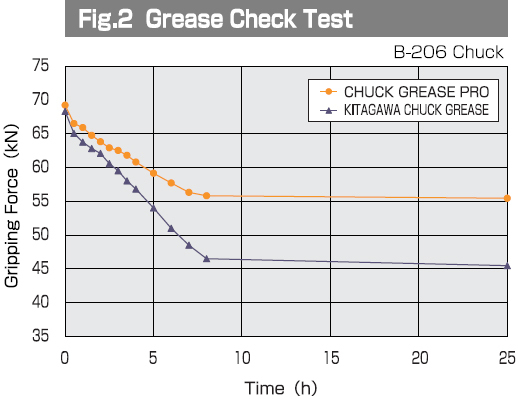 Kitagawa recently upgraded its chuck grease with the revolutionary new Chuck Grease Pro. Not only will the new range increase a chucks gripping force by up to 1.5 times that of the old grease, it will also extend the service life of the chuck by up to 3 times. 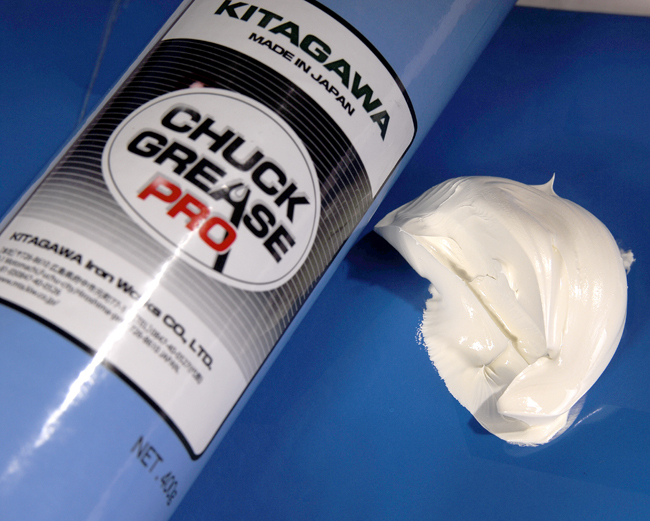 Chuck Grease Pro has been specially developed by Kitagawa - utilising its long term experience in many applications to ensure the quality of the product. 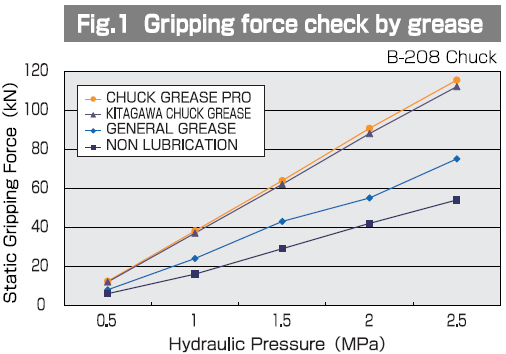 For more information, technical details and specifications visit the Chuck Grease Pro product page.